Sheyna L. Heard is the senior pastor of Rohi Christian Church. She is a motivational speaker, entrepreneur, philanthropist, preacher, teacher, mother, and avid business woman who has been involved in Christian ministry since 1995. 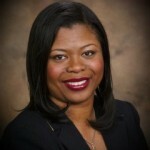 She is a founding member of Rohi Christian Church and was ordained as a minister in August 2004. Behind her compassionate concern and spiritual vigor is a story of tragedy and triumph, poverty and prosperity. Sheyna has overcome turbulent early years and has now dedicated her life to helping others do the same by transforming their circumstances to discover God’s unique promise of divine destiny for their lives. On October 5, 2008, Sheyna’s husband, Pastor Jeffery S. Heard, was called home to be with the Lord. It was at this moment the Lord called Sheyna to fill the role of Senior Pastor. A native of St. Louis, MO, she received a Bachelor of Science degree in Electrical Engineering from Northwestern University and she holds a Master’s in Business Administration from California State University, Dominguez Hills. She received her Master of Divinity from The King’s Seminary in May 2015. Now a single mother of two dynamic little boys, Jeffery S. Heard II, age 12, and Joshua Stanly Heard, age 9, Pastor Sheyna believes that her first ministry is to her family and has served as a basketball and baseball coach for her children’s sports teams. She has served in Rohi Christian Church as the Worship Leader, Women’s Ministry Coordinator, Youth and Young Adult coordinator, and Church Administrator. She has taught Adult Sunday school classes, discipleship classes and preaches a dynamic word on Sunday mornings. Sheyna is best known, not for the things above, but for her undying love for the Lord. She seeks to spend time alone with God each day but admits that it is often a challenge with a busy schedule and small children. Her hobbies include spending time with her family, reading, kickboxing, and shopping. With echoes of her husband’s dynamic preaching style, Sheyna boldly challenges others to develop a close relationship with Jesus Christ, receive the baptism of the Holy Spirit and walk as Spirit-filled leaders in the communities.